Junlin was born and raised in China. He came to New Zealand for study in 2012. Later on, he earned a Master’s degree in Statistics with First Class Honours from the University of Auckland in 2017. Prior to that, he completed a Bachelor of Science (Statistics) from the same institution. 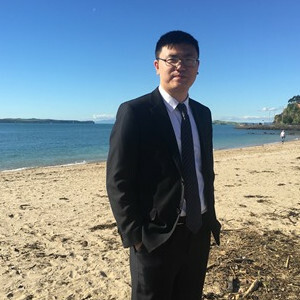 During his postgraduate study, Junlin served as a Teaching Assistant at the University of Auckland. He tutored students from various courses. He was both a Statistics Lab Tutor and Assignment Marker. He enjoyed teaching undergraduates programming and modelling skills, as well as discussing the latest development in Data Science. He is also an active member of Statistics Postgraduate Lab and maintained a good relationship with the faculty even after graduation. Before joining 2Degrees, Junlin was part of the Global Talent Intern programme at Chen Palmer where he served as a Data Analyst. He was the major analyst for two Big Data projects, one of which had a great focus on understanding Asian immigrants in New Zealand. His work at Chen Palmer was highly regarded and earned a recommendation letter from the Managing Director. Junlin played piano for over 20 years. He has won prizes and had several on stage performance experiences in China.